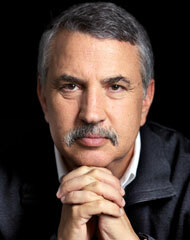 * ... FRIEDMAN: The ongoing protests and violence in the Middle East that led to the death of the U.S. ambassador to Libya drew a strong response from New York Times columnist Thomas L. Friedman. Friedman is one of our nation's foremost Middle East experts and he spared no words in calling out Muslim protesters on their own hypocrisy when it comes to insulting other religions. "They might want to look at the chauvinistic bile that is pumped out by some of their own media — on satellite television stations and Web sites or sold in sidewalk bookstores outside of mosques — insulting Shiites, Jews, Christians, Sufis and anyone else who is not a Sunni, or fundamentalist, Muslim. There are people in their countries for whom hating 'the other' has become a source of identity and a collective excuse for failing to realize their own potential." More reasons why all of us should practice tolerance. * .... OVERHEARD: A young woman who just returned from Boston is overheard talking about coming home. "I am always amazing how friendly people are here," she said. "At the airport, at the car wash and even at Starbucks people are just so nice. Yesterday in the drive-through at Starbucks and woman two cars in front of me paid for the entire line. It's just great coming home." 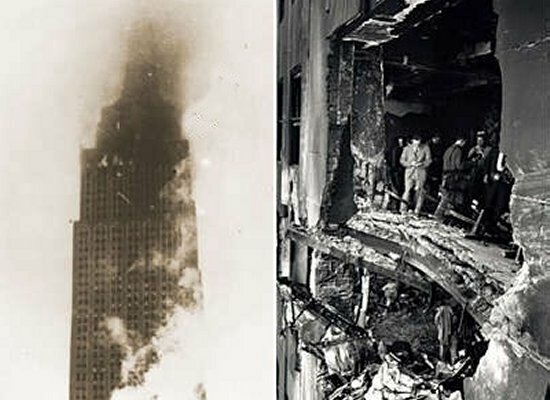 * ... HISTORY: Several readers wrote with questions about the 1945 incident in which a B-25 Mitchell ran into the Empire State Building, killing 14 people including three crewmen. It happened on a Saturday morning when the B-25, headed from Boston to LaGuardia, was cleared to land in heavy fog and mistakenly veered right into the building. 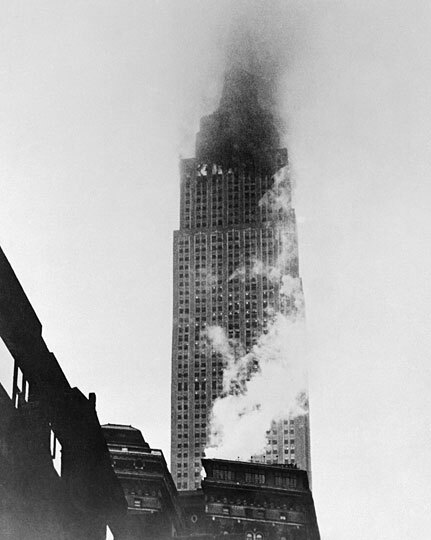 The plane hit the north side of the building between the 78th and 80th floor. * ... SNYDER: Congratulations to Toni Snyder who came home with a prestigious honor from the Radio Show convention in Dallas. 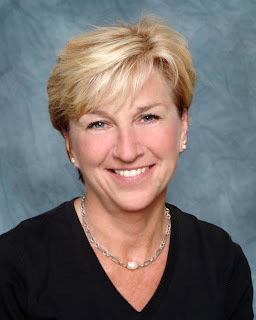 Snyder was named "general manager of the year" in the 2012 National Association of Broadcasters and Radio Advertising Bureau competition. 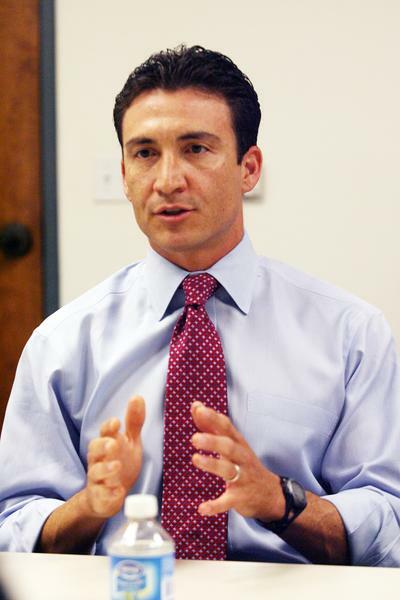 Snyder runs the seven American General Media radio stations in Bakersfield. Californian Radio, which runs weekdays from 9 a.m. to 10 a.m., appears on KERN 1180, one of the AGM stations. * ... ASHBURN: Former state Sen. Roy Ashburn has picked up more endorsements in his bid to return to the Kern County Board of Supervisors in the First District. Among those endorsing Ashburn were Delano Mayor Grace Vallejo, Ridgecrest Mayor Ron Carter and McFarland Mayor Manuel Cantu Jr. Ashburn faces former China Lake Naval Weapons Station commander Mick Gleason in November. * ... ACHIEVERS: Hats off to the girls' tennis and golf teams over at Liberty High School who earned some terrific recognition recently. Turns out both teams were honored as the CIF (California Interscholastic Federation) 2011-12 Academic Team Champions for being the tennis and golf teams in the state with the highest grade point averages. Said Molly Busacca, whose two daughters play on the tennis team: "They are the only teams from Kern County to have received this distinction. I love to see the teams do well both in their sports, and in the classroom!'' 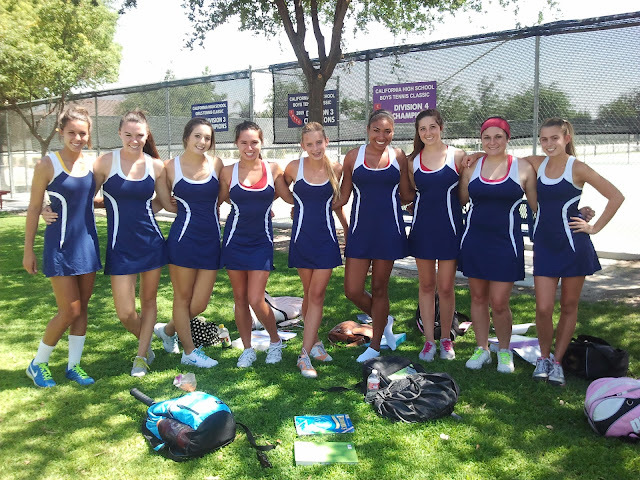 The girls tennis team: Paige Basconcillo, Isabella Busacca, Sophia Busacca, Taylor Carter, Karissa Coronel, Kendra Duncan, Michelle Kirby, Kelsey Owens and Emily Smith. Girls golf: Lexis Bell, Kirstin Horton, Mckenzie Pardue, Kayli Ryan, Tori Schrock, Chanie Smith and Mallory Wells. * ... FLU SHOTS: Terri Nelson wrote with a tip about flu shots. "My husband and I took our entire family to Rite Aid to get our flu shots. Normally we pay around $20 to $30 for each one. One of the pharmacy techs asked to scan our medical insurance cards and I told them not to bother they never pay for them. Two of us have Blue Cross and the rest have straight MediCal. Well surprisingly this time they did pay and it saved me a boatload of money. Maybe more people will get their flu shots if they are free and they don't have to wait in the doctor's office for hours." * ... OVERHEARD: And speaking of staying healthy, a woman who has spent a lot of hours at a local hospital is overheard talking about how hospitals should provide small gyms for visitors. "Instead of sitting there for hours why not provide a little workout room?" she asked. "It will keep you healthy and isn't that what the hospitals want?" * ... SPOTTED: Two young men in a black Ford Expedition headed north on Chester Avenue and 18th Street get a good laugh after the passenger throws a handful of trash at a black city trash can and misses, sending napkins and litter all over the street. * ... CEQA: Keep your eye on state Sen. Michael Rubio (D-Shafter) and the work he will do as the new chairman of the Senate Environmental Quality Committee. Rubio told me he has taken aim at CEQA (the Californian Environmental Quality Act), the law that drives businesses and developers crazy. Rubio told me CEQA is now some 40 years old and desperately needs to revised. He said it's the only law where "a business can still be in compliance but we penalized." * ... GIRLS FUND: The Women’s and Girls’ Fund, part of the Kern Community Foundation, is getting ready for another round of grant funding. Its current emphasis is on educational issues for women or girls: literacy; educational attainment; dropout prevention; high school graduation; college preparation or re-entry; job skills training; and education/training for emancipated foster youth. Nonprofits can access necessary forms and grant policies at www.kernfoundation.org or call Kern Community Foundation at (661) 325-5346. The deadline to apply is Nov. 8. * ... BAKERSFIELDISM: You know you're from Bakersfield when a friend mentions he can tell it's almost fall because the temperature only reached 92. 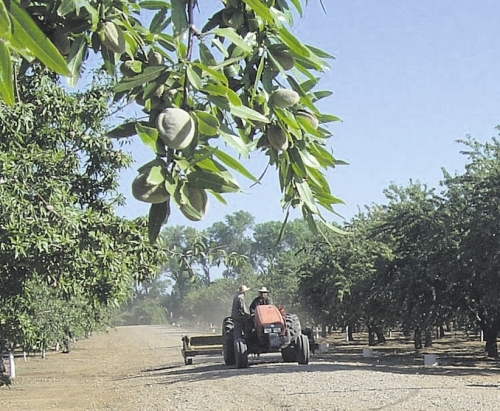 * ... ALMONDS: Good news for Kern County's almond growers: it looks like prices are going up and we are headed to another solid harvest. The almond harvest is now under way, and producers expect a harvest of some two billion pounds, just slightly under last year. Prices and demand have been steadily climbing every year, thanks to some degree to a strong demand from overseas but also to a growing national appetite for fresh nuts. * ... RUBIO: State Sen. Michael Rubio, recently appointed chairman of the Senate Environmental Quality Committee, will be my guest on Californian Radio KERN 1180 Monday to talk about his plans to revise the California Environmental Quality Act (CEQA). We will be talking about state pension reform and other issues facing the Golden State. Rubio will be on at 9 a.m.
* ... GOOD DEED: Janada Shepard was dining at Uricchio's Trattoria last week, complements of two friends who were treating her for her birthday. "A server approached me and said a gentleman would like to know if he could buy me a glass of wine. Of course I agreed and asked who the gentleman was so I could thank him. He chose to remain anonymous. So hopefully I can thank him through your column, that I read and enjoy every day. He made my day even better... how thoughtful!" * ... 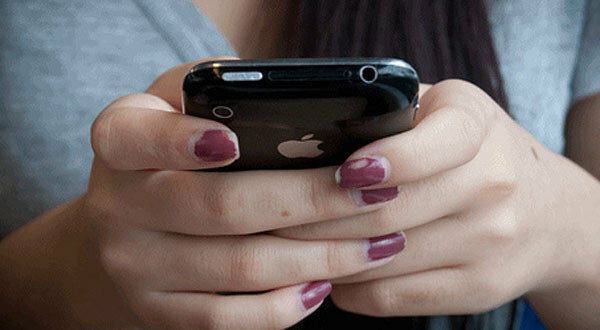 SINGLE: Did you know that a third of all Americans ages 45 to 63 are single, a 50 percent increase since 1980? That's according to the Wall Street Journal, which reported that one in four adults over the age of 50 is divorced, a huge increase over the past decade. * ... CORRECTION: Mark Romero wrote to correct an earlier blog post that misidentified the type of military aircraft that hit the Empire State Building in 1945. "It was a B-25 Mitchell that hit the building in 1945.... a B-24 Liberator is a much bigger bomber with four engines. A B-25 has two engines." * ... ENIGMAS: Good luck to Adam Vinson and Jason Gutierrez, partners in a new multi-media agency called ENIGMA specializing in public relations, social media, multimedia production, web site design, hosting and maintenance, graphic design and marketing strategy.